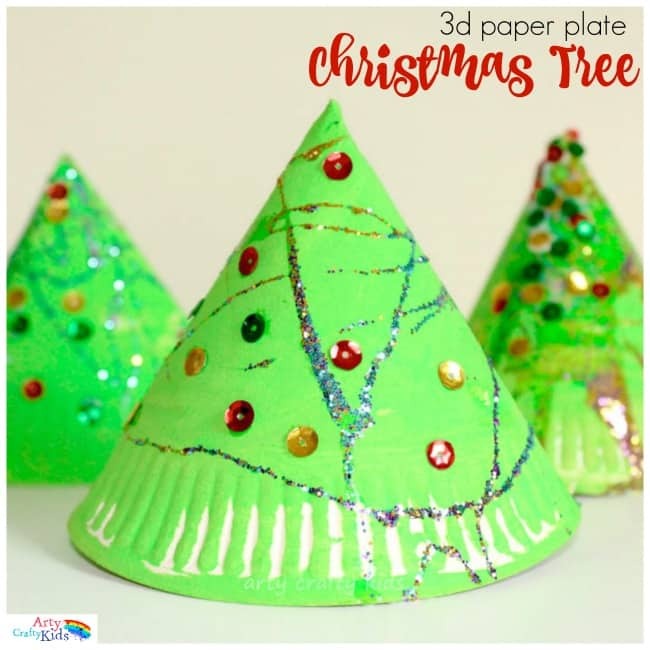 With Christmas just a few weeks away, we’ve officially got our Christmas craft on and today I’m showing you this rather cool 3D Paper Plate Christmas Tree. 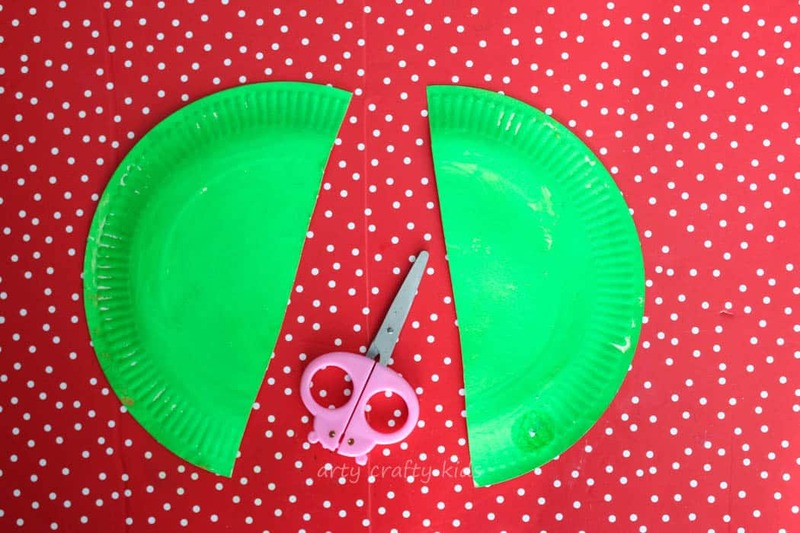 This simple craft was a HUGE hit with the girls. 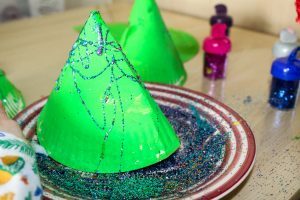 They adored every element of glittery sticky process and if you are considering trying this craft out with a toddler or preschooler, then it’s a great activity for fine motor skills! 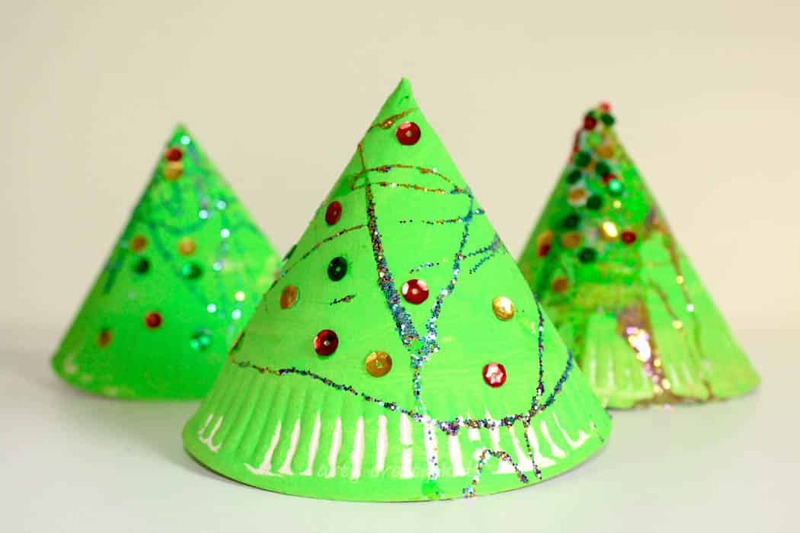 Excluding a small amount of help assembling the Christmas Tree, this Christmas craft is entirely child-led and would be perfect for group craft sessions at school, preschool or playgroup. My girls couldn’t resist balancing their Christmas Trees on their heads, so perhaps they could be adapted and used as Christmas party hats? 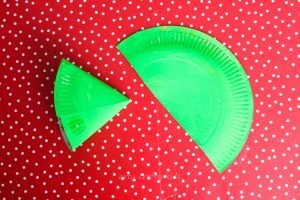 Paint a Paper Plate green and leave to dry. Once dry, cut it in half. 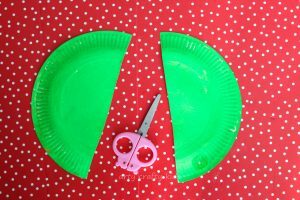 Gently fold the paper plate round, align the straight edges to create a ‘Christmas tree’ point and staple together (avoiding gaps). Now for the messy fun! 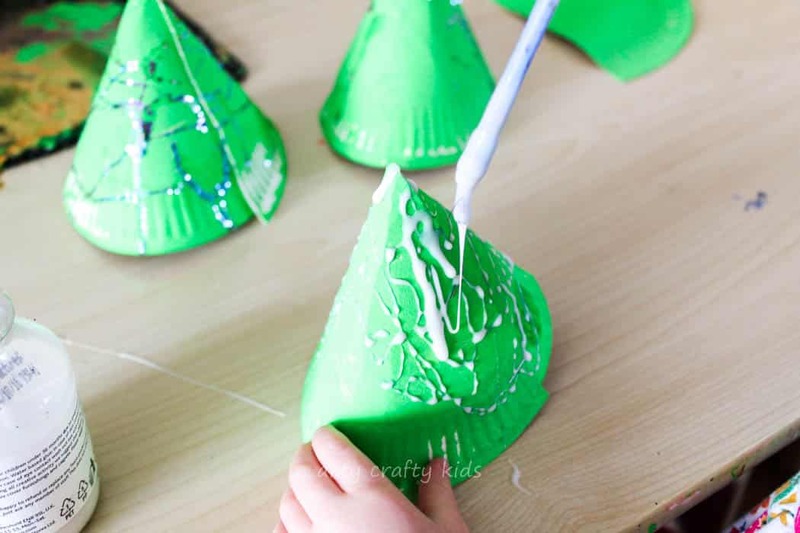 Load a glue stick or brush with lots of glue and allow it to dribble around the Christmas tree. Next cover the glue with lots of glitter. Add additional sequins, Pom-Poms, scrunched tissue paper or any other embellishments you have to hand. The kids should have now have a super cute, glittery bombshell of a 3d Paper plate Christmas Tree. I hope they love their trees and enjoy the process! 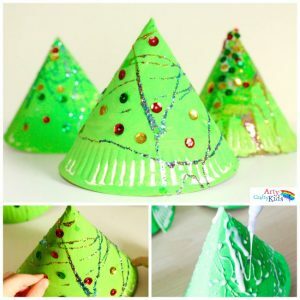 If you would like to adapt the Christmas Trees into party hats, simply create to holes on opposite sides and attach and piece of elastic. For more simple Christmas Crafts, take a look at our Toddler Christmas Trees, Paper Plate Baubles and Jar-lid Glitter Baubles. 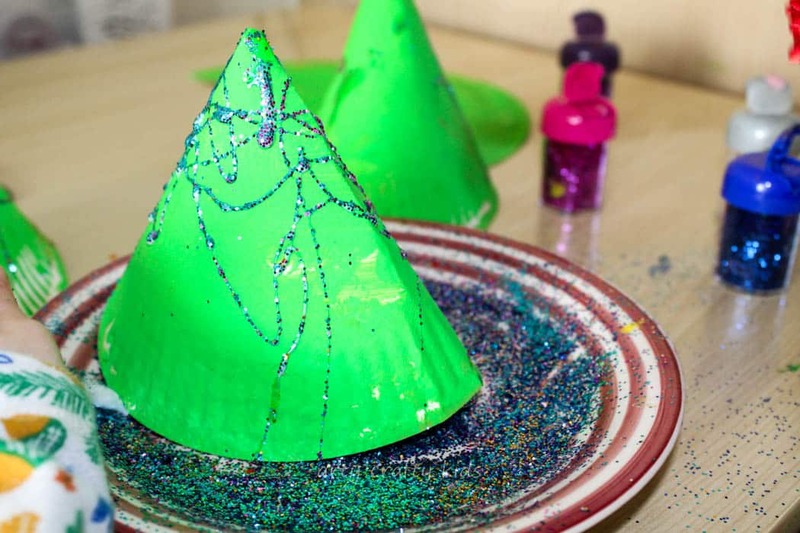 SIGN-UP to the Arty Crafty Kids Newsletter for regular updates!